TOWCESTER TAXI AIRPORT TRANSFERS 01908 263263 RELIABLE ROAD TAXI TRANSPORT: Uber Accused Of 'Wage Theft' By It's Own Drivers Down Under. Uber Accused Of 'Wage Theft' By It's Own Drivers Down Under. Uber told its drivers they would get 'more trips' under recent policy changes, a claim which is being disputed. Uber has been accused of "wage theft" by some of its drivers, who say they have been "deceived" into taking pay cuts under recent policy changes. As competition intensified with competitors Ola, Taxify and DiDi entering the market, Uber introduced its UberPool and "upfront pricing" policies earlier this year. The key change was that Uber would provide its customers with "more certainty" by quoting an exact "upfront" price (for example, $40), instead of a range ($35-45). It's essentially Uber's best estimate of what the trip should cost, and drivers were promised they would get "more trips" as a result. But several drivers allege they were not given a real choice, as they had to sign amended contracts agreeing to be bound by Uber's estimates, which were "frequently too low". Otherwise, they risked "deactivation", which means getting blocked from the Uber app without explanation. After interviewing 40 Uber drivers, the ABC found that an overwhelming majority (35) said they saw a "significant" drop in their earnings, as they were getting "short-changed" on almost every trip. This was compared to what they would have earned according to the meter. Only one said he was making more money, and four said their earnings were steady. Why are drivers claiming underpayment? "If the trip changes significantly such as with heavy traffic or multiple extra stops, the fare will be automatically adjusted to use the actual time and distance travelled," the company said in an email to drivers. But several drivers have told the ABC that their worst cases of "underpayment" happened precisely under those circumstances as Uber failed to follow its own policy. Uber's online support staff told many of them that their 20 or 30-minute delays -- caused by traffic jams, and unexpected demands from customers to "pick up friends along the way" or "pull over at McDonald's" -- were not considered "significant" enough. Therefore, their pay would remain at the lower figure (the upfront estimate), rather than the higher amount (based on the meter). The problem was that the company "bases its fares on upfront calculations that nobody is able to explain", said one full-time driver, Jackie (not his real name). None of the drivers wanted their real names to be published for fear of Uber deactivating their accounts. "Upfront Pricing is calculated using the expected time and distance of the trip and local traffic, as well as how many riders and nearby drivers are using Uber at that moment. The company's spokesperson confirmed it uses "historical traffic patterns" to make that calculation. But Jackie disputed the reliability of this method: "How can traffic jams, especially ones caused by future car accidents, be calculated based on 'historical' data'?" "It wasn't in Uber's historical data yesterday, and it sure wasn't there 20 years ago." "It frustrates the hell out of me they can sit in a bubble and make rulings like this." "That's why I hate upfront pricing with a passion." The price of the lower-cost carpooling service UberPool is also determined by its "upfront" fare policy. "In most cases, UberPool trips are likely to undercut UberX trips [the next cheapest offering] by up to 40 per cent," said Max B, an Uber driver who runs an online advocacy group, Ride Share Drivers United (RSDU). 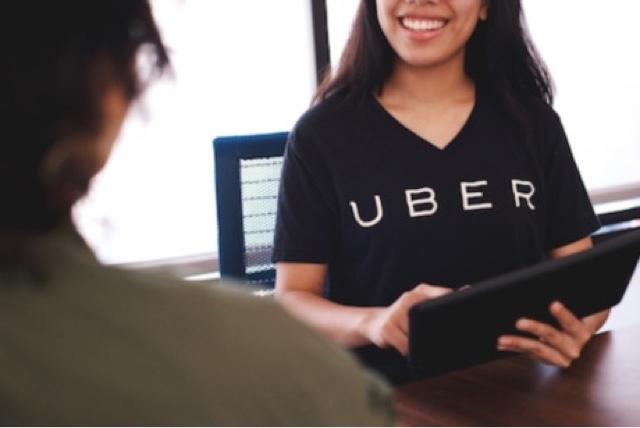 Uber's spokesperson said: "We continue to focus on demonstrating the benefits of UberPool and encouraging further use, including investing in discounts to passengers who share their ride. "More affordable rides means more trips for drivers and less wait time between trips." 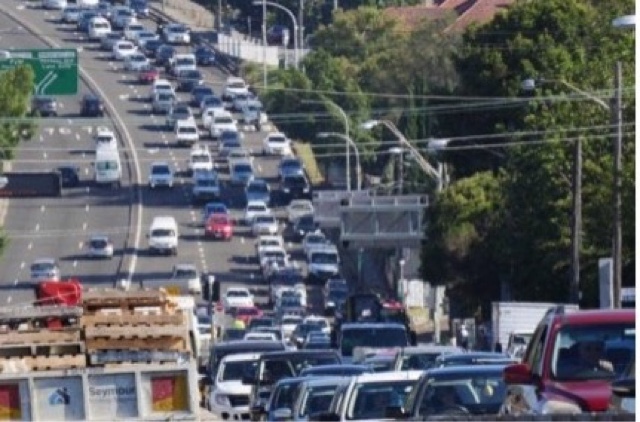 How much worse off are drivers? One driver, Edmund, who has been with the company for more than two years, said he was losing on average $28 per week. Among the other drivers, the alleged amount of underpayments varied according to each trip. Sometimes it was low as just a few cents. But other times, the difference between Uber's estimate and what drivers claim they "should have" earned, under the meter, was as much as 30 per cent. "This is wage theft -- nearly 90 per cent of the time, the company underpays me by 50 cents per trip, and up to $4," said another driver, Stephen. Considering the full-time drivers take hundreds of trips each month, the difference can add up quickly. Uber's spokesperson said: "We want driver partners to be successful which is why we are investing in innovations to encourage more riders to choose the app, and proactively share information about when and where the best times to drive are. "We also continue to work on improving our driver app in response to feedback from partners so they continue to choose us. One driver pointed out that there will always be "a loser" in the upfront estimate system. "If I end up being paid more money under Uber's upfront price [compared to the meter calculation] that means the customer has paid too much. "They would have been better off under 'time and distance' charging in that case, but that situation is rare." "This new system may sound sensible on its face value," said Max B. "But drivers, who Uber claims are 'independent contractors', are kept in the dark and aren't told what the actual 'upfront fare' price is until the trip ends. "The first rule of thumb to being an independent contractor is to know exactly how much they will get paid for a job, let alone a 'predetermined' job cost. 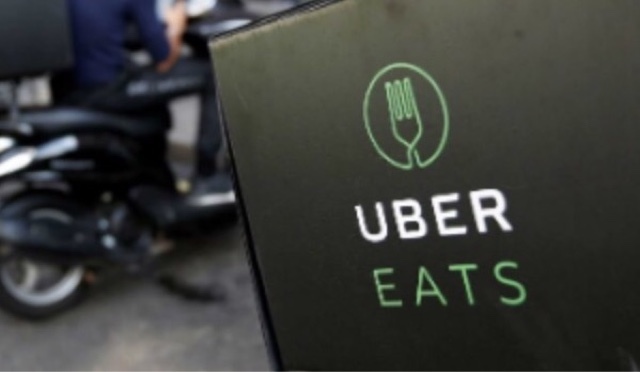 Some of the Uber drivers who spoke to the ABC have also recently been contacted with the Fair Work Ombudsman (FWO), as part of its "sham contracting" probe. Basically, it is looking into whether Uber is misrepresenting its employees as independent contractors (or entrepreneurs running their own businesses) -- to avoid paying minimum wage, annual leave, sick leave and superannuation. The FWO, through a spokesperson, confirmed it is currently investigating Uber "to determine whether the engagement of Uber drivers is compliant with Commonwealth workplace laws", but would not comment further. Drivers like Jackie are trying to minimise their time driving for Uber "as much as possible" in response to the recent changes to its pricing policy. Despite his personal feelings about the company, he has little choice but to continue driving for Uber in the meantime. "A driver is very expendable at the end of the day," he said. "It doesn't matter if I leave -- 100 others would take my place. "Unfortunately, Uber controls the market in Australia, and at least 90 per cent of my trips are with them. "But only three-quarters of my pay is from Uber. I earn the rest from Ola and private chauffeuring because they pay better." Uber takes a 27.5 per cent cut from its drivers' pockets, while Ola's and Taxify's commissions are lower, at 15 per cent. "But until one of the other competitors gains ground on Uber, we have no choice but to tolerate the conditions of the dominant player."